When learning about the solar system, sometimes it is hard for little ones to remember the order of the planets. 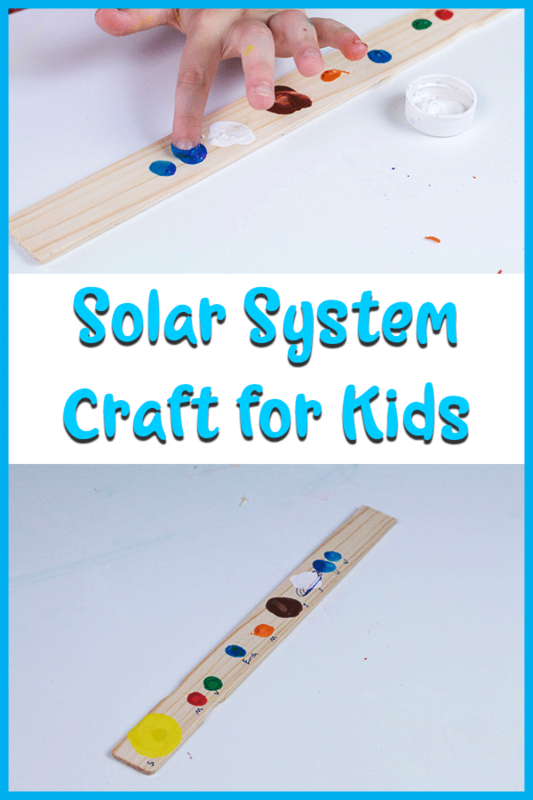 The fingerprint solar system craft is a fun way to help kids remember the order of the planets, and it’s super adorable, too! 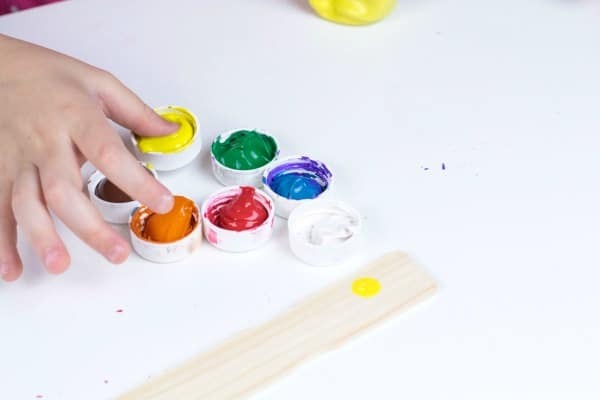 Read on to learn how to make the fingerprint solar system with your kids or class. 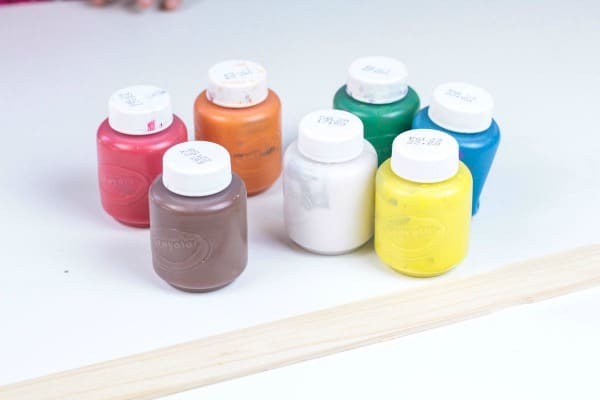 Start by sanding your paint sticks with sandpaper. 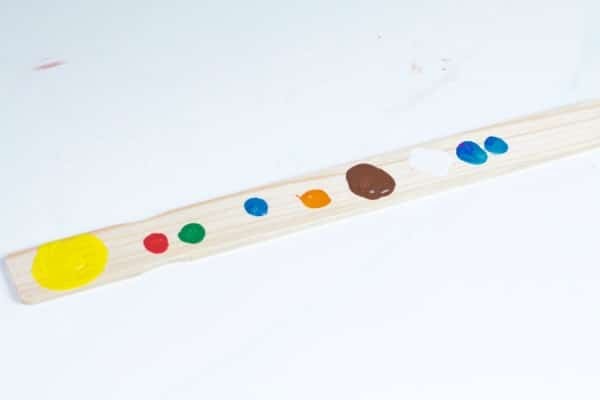 Sometimes paint sticks can be rough, and might give the kids splinters. Wipe any remaining sawdust away with a damp cloth. Get out several colors of paint: red, orange, yellow, green, blue, brown, and white. Use a diagram of the solar system to determine the order of the planets. 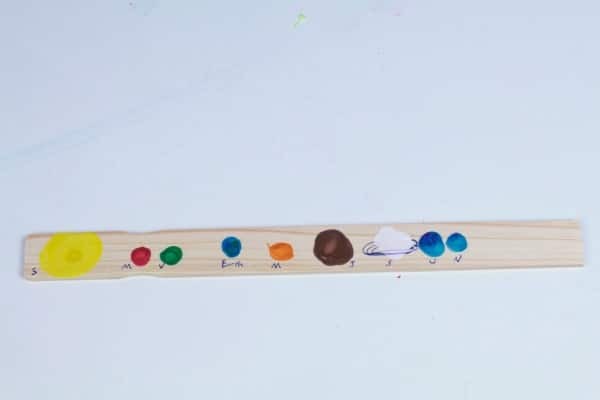 Once the paint is dry, write the names of each planet (or just do an initial) under each planet. Draw rings around Saturn and Uranus if you like. Use the fingerprint planets as a tool for remembering the order of the planets in the solar system. 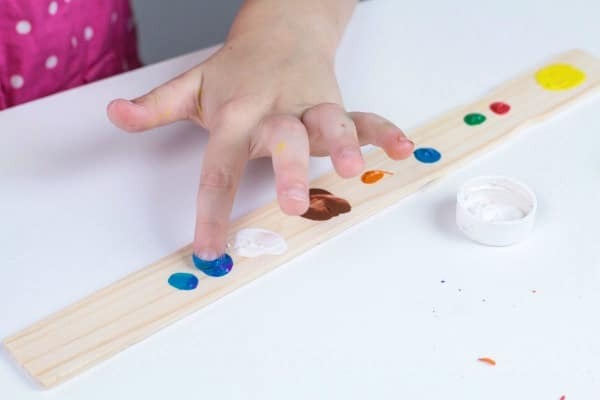 Kids can also use the paint sticks as bookmarks or decorations for their rooms.